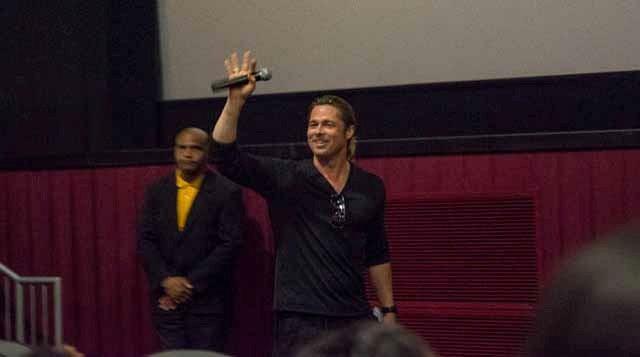 Imagine you’re sitting at a screening for one of most anticipated films of the summer and in walks the star of the movie – and not just any star, but Brad Pitt! 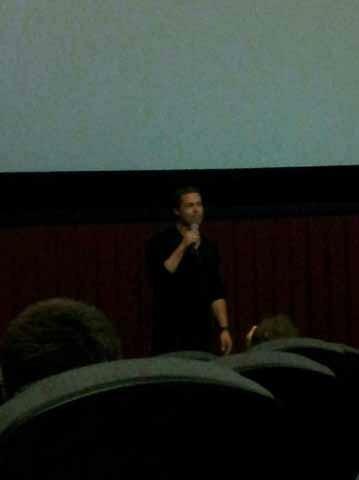 How awesome would that be? 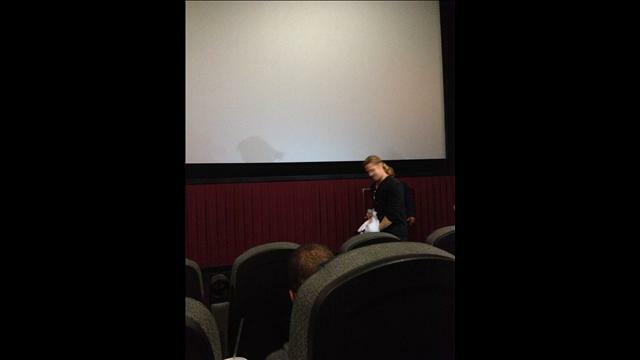 That’s exactly what happened today. 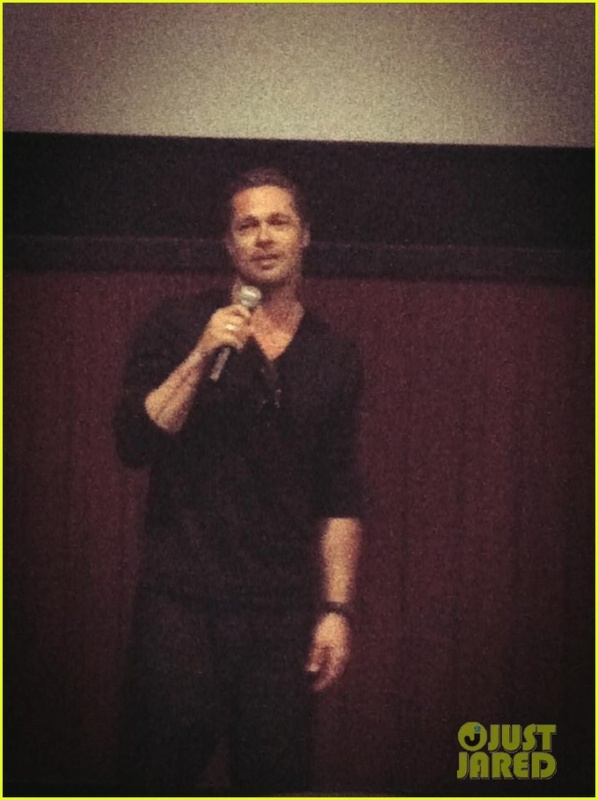 On June 5, 2013, Brad Pitt made an unannounced appearance in Atlanta at a sneak preview of his zombie thriller "World War Z," according to Paramount Pictures. 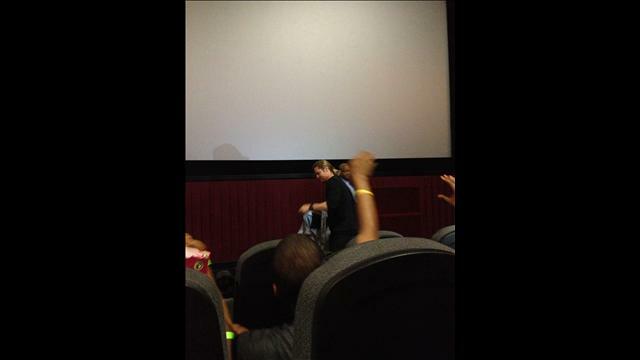 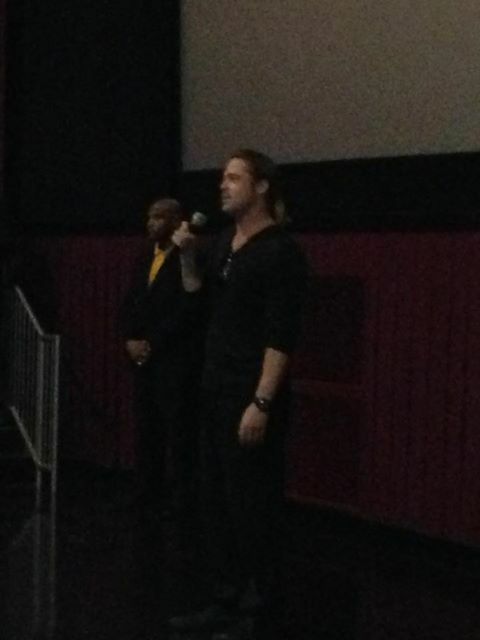 The event was held at the Regal Atlantic Station multiplex. 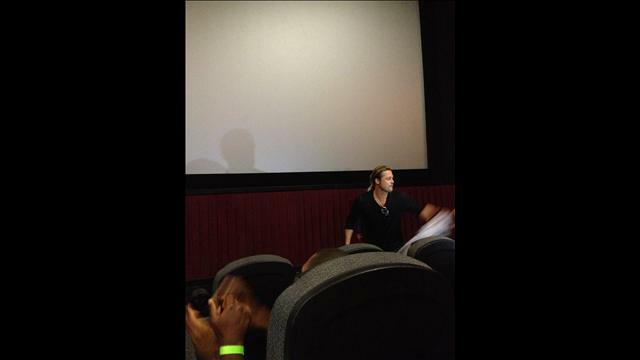 Advertisement "World War Z" (directed by Marc Forster) arrives in U.S. and Canadian theaters on June 21, 2013. 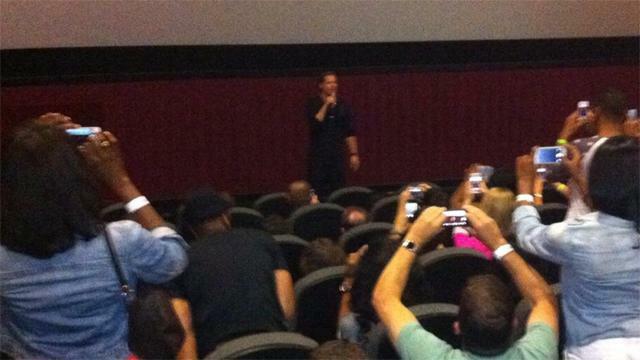 The movie will premiere on demand on a date to be announced. 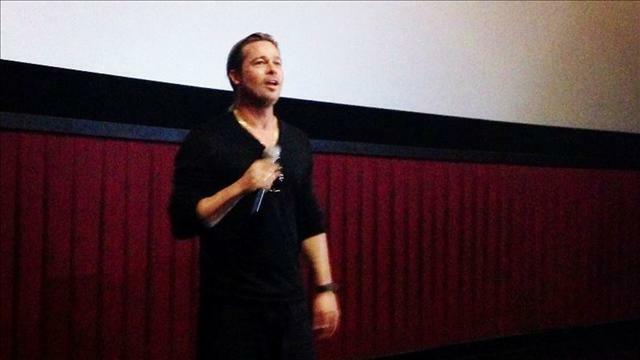 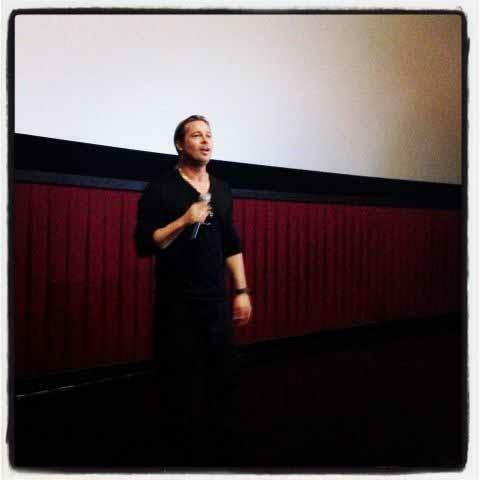 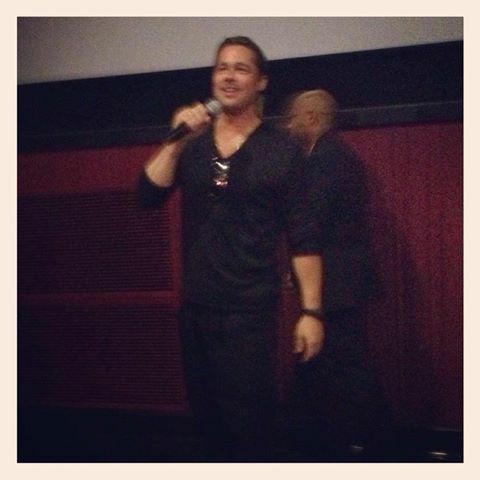 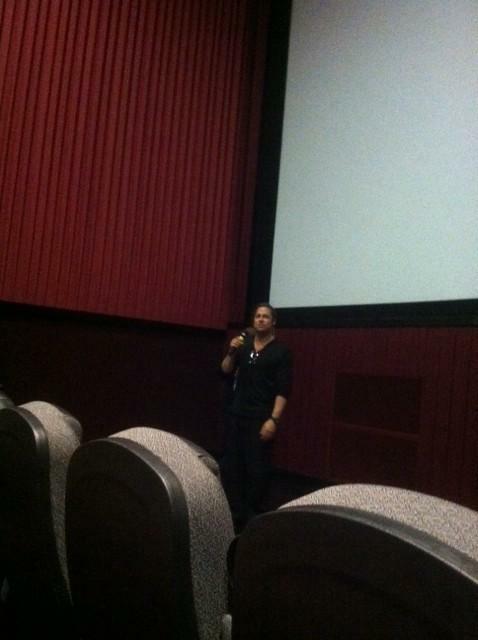 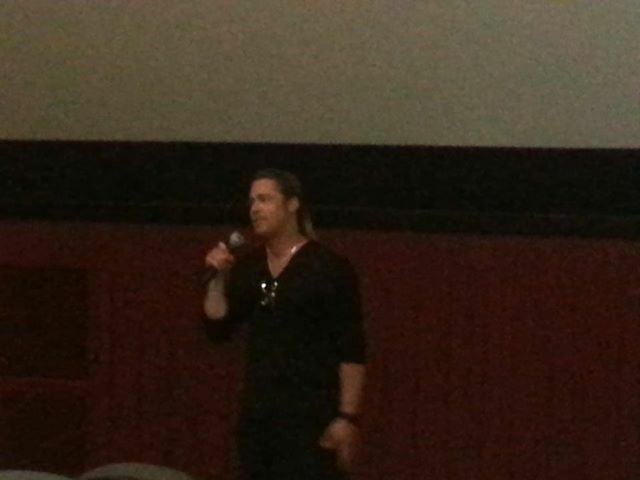 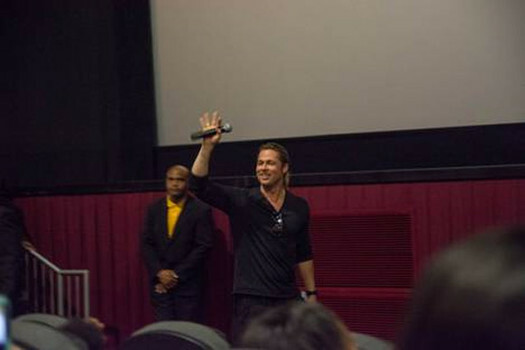 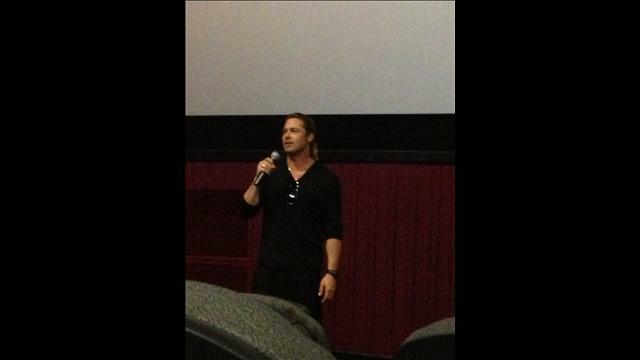 As previously reported, Pitt also attended sneak-preview screenings of "World War Z" in New York City and Hoboken, N.J., on May 22, 2013. 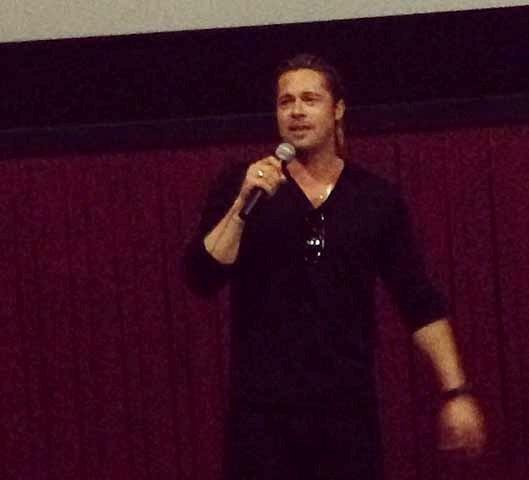 He and his partner, Angelina Jolie, were at "World War Z" premieres in London (on June 2), Paris (on June 3) and Berlin (on June 4). 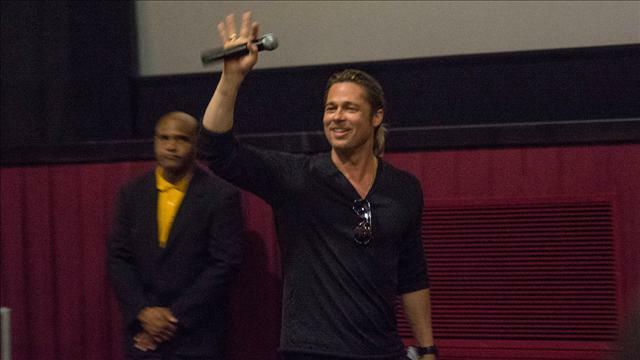 The London premiere of the movie was Jolie's first public appearance since she announced that she had a double mastectomy for cancer prevention.